The regular edition of the Muster is back, chock full of actions and events dealing with issues at both the state and national level. 2018 is an election year and we're hitting the ground running: our Elections team is holding an important working meeting tonight (1/9) and we're hosting forums this week and next for the three Democratic candidates running for Governor. 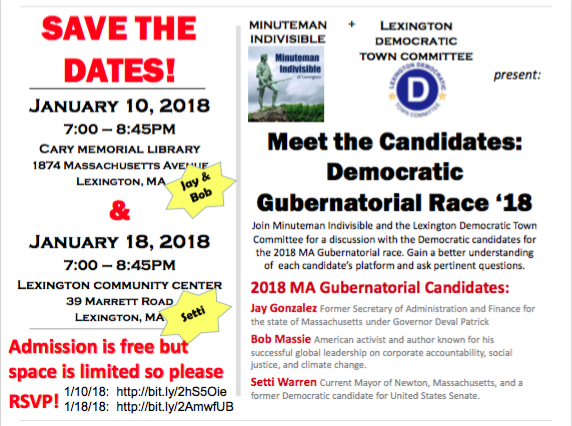 The January 10th candidates night is "sold out"; the January 18 event is filling up fast, so sign up right away if you're planning to attend. 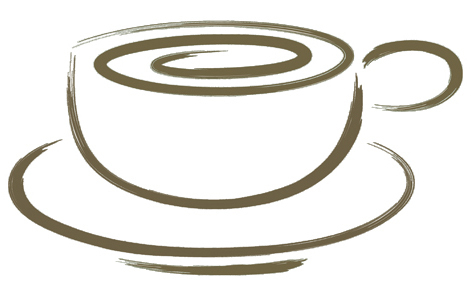 See the Upcoming Meetings and Events section for all the details on these and other exciting events this month. This week's Muster also shines a spotlight on our MI Book Club, which is partnering with First Parish Church this month to discuss Daring Democracy, a timely new book by Frances Moore Lappé and Adam Eichen. Learn more about the books we've already read and find out which ones we plan to tackle in the next few months. Don't miss the Recommended Reading section at the end of this newsletter which highlights some of the great work being done by our fellow Massachusetts Indivisible groups. We're energized by the work that you and other Indivisibles are doing and look forward to standing shoulder to shoulder with you in the fights ahead. 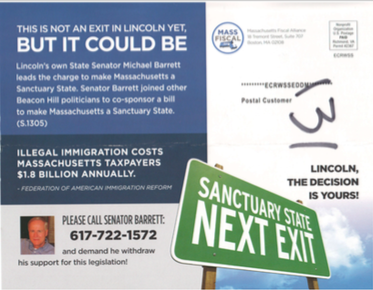 The Massachusetts Fiscal Alliance is sending out postcards designed to stir up opposition to the Safe Communities Act (SCA). 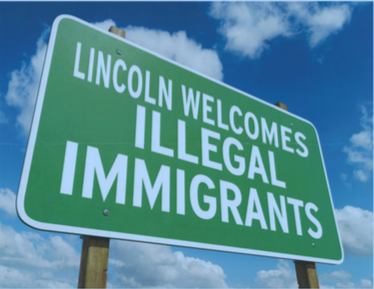 They use junk data from the Federation for American Immigration Reform (FAIR), which has a long history of promoting anti-immigrant and white nationalist views and is labelled as a hate group by the Southern Poverty Law Center. Please call or email your state legislators, many of whom have been targeted by these postcards, to express your support for the SCA and counteract these efforts. More information about the SCA is available here. Congress needs to pass a new bill to fund the federal government by January 19th. Call your MoCs to thank them for refusing to vote for a budget without a clean DREAM Act last month and ask them to help bring together fellow Democrats to vote no on any new funding bill that does not protect Dreamers and provide long-term funding for the Children’s Health Insurance Program (CHIP). 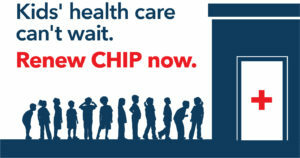 See this document prepared by our Healthcare Team, this recent NPR piece, and this Indivisible Team resource page for more information about CHIP and the current funding crisis. In December, the Federal Communications Commission (FCC) voted to rescind the net neutrality rules that prevented internet service providers from blocking or favoring certain websites or content. 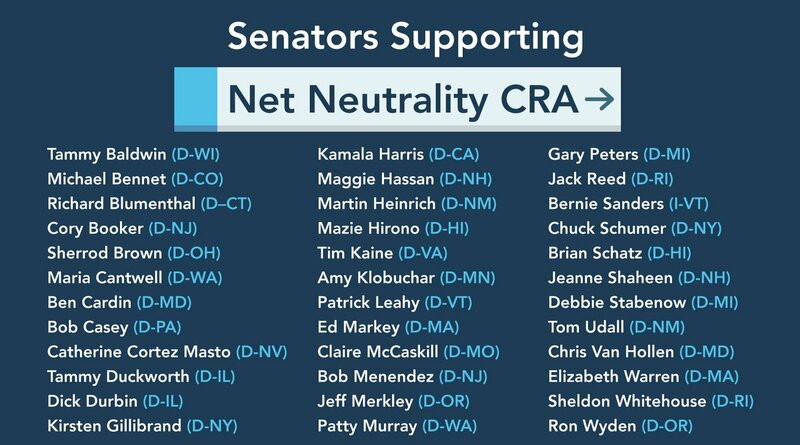 As of early this week, Senator Markey has the 36 co-sponsors listed below for his Congressional Review Act resolution to undo this FCC Action, enough to force a vote on the Senate Floor. A simple majority in both the Senate and the House are required for the resolution to pass. If you have friends or family who are represented by Senators who are not on this list, ask them to call and urge their Senators to support Senator Markey’s resolution. More information and tools for contacting MoCs are available here. We're excited to be providing these opportunities for you to meet the three Democratic candidates running for Governor. Each candidate will be giving a short presentation and then audience members will be able to ask questions. The events are free, but space is limited and the January 10th event is already full! Please RSVP using this link if you plan to attend on Jan 18th. If you've already registered and your plans have changed, please cancel your registration by using the information in your confirmation email or by logging into your Eventbrite account. You can check this link to see if cancellations for January 10th have freed up any seats. 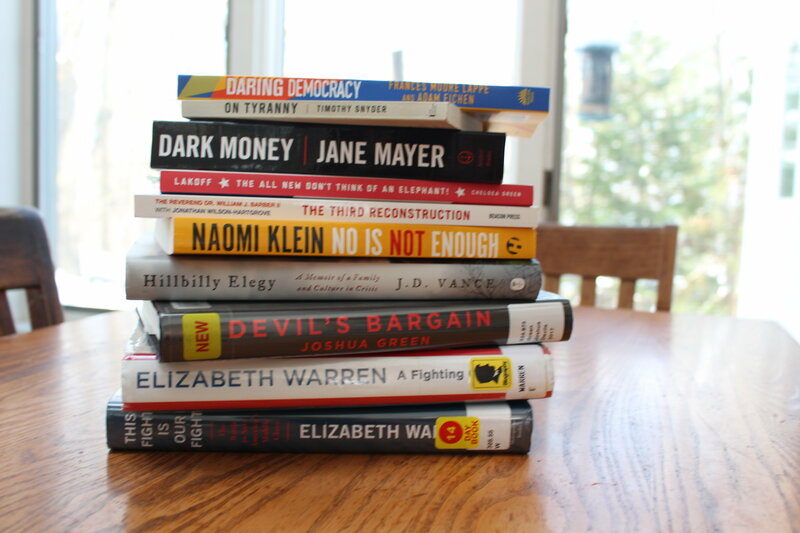 Minuteman Indivisible started the MI Book Club late last summer to provide a forum for members to get together and discuss books that inform our understanding of current political issues and enable us to take more effective actions. So far, we’ve discussed On Tyranny by Timothy Snyder, Don’t Think of An Elephant by George Lakoff, Dark Money by Jane Mayer, and The Third Reconstruction by Rev. Dr. William Barber. The new MI Book Club webpage has more information about each of these books and their authors. This month, Minuteman Indivisible will be partnering with First Parish Church in Lexington to discuss Daring Democracy by Frances Moore Lappé and Adam Eichen. Daring Democracy outlines the current threats to our democracy and focuses on grassroots movements that have sprung up to preserve and strengthen it. The book highlights recent successes, including initiatives to strengthen voting rights and promote clean elections at the state level, and describes ways citizens can get involved in these efforts. On Thursday January 11th at 7pm, there will be a general discussion of the book at First Parish Church; on Thursday January 25th at 7pm, there will be a second discussion featuring an interfaith panel of lay people sharing how their faith traditions inform their actions to protect and advance democracy. The public is welcome to attend one or both of these events. Looking ahead, we'll be reading Elizabeth Warren’s latest book, This Fight is Our Fight, in February and Strangers in Their Own Land, by Arlie Hochschild, in March. Newcomers are always welcome! Please join us even if you haven’t had a chance to read the book - we provide a quick summary a few days before each meeting. You can use this link to see books our members have recommended, suggest a book, or let us know you’re interested in attending one of our meetings. Candidates Jay Gonzalez and Bob Massie will be speaking and answering your questions. This event is free, but is currently "sold out." You can check this link to see if cancellations have freed up any seats. Candidate Setti Warren will be speaking and answering your questions. Space is limited for this event, so please RSVP using this link. We'll be writing postcards to voters and discussing potential candidates and State House bills to support. Join us as we plan our 2018 activities. New members welcome! One of the strengths of the Indivisible movement is the diversity of the over 6000 local groups. Hre's a small sampling of some of the interesting work our fellow Massachusetts groups have been doing.